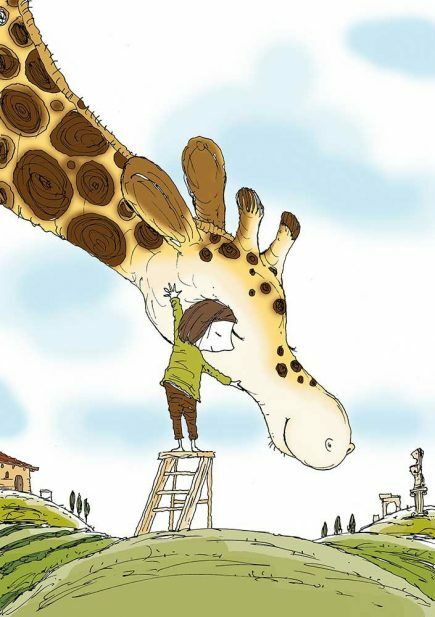 I’ve always loved giraffes. 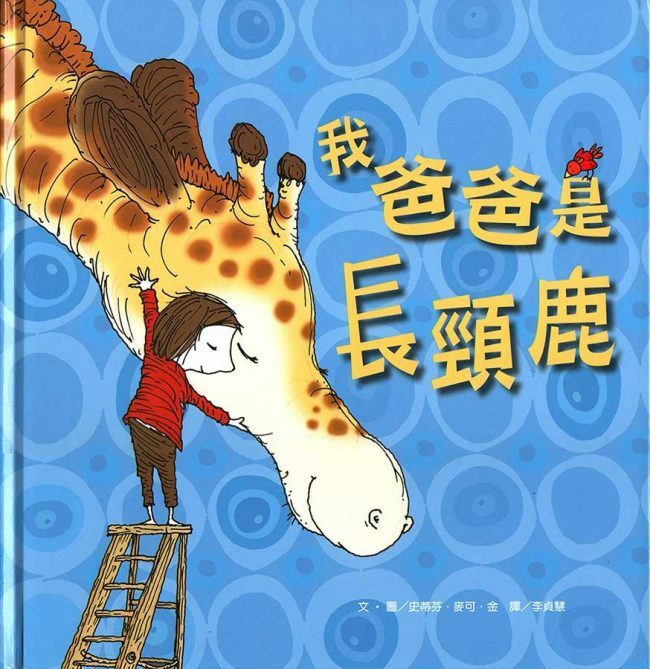 If you look back through my previous books you’ll see I have a thing for spots and polkadots (Emily Loves to Bounce). 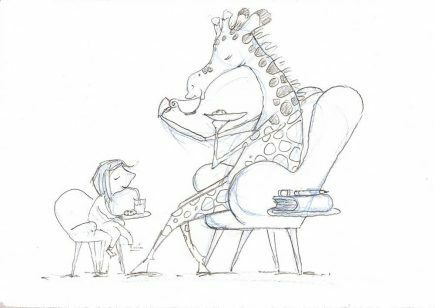 Giraffes are one of my favourite animals; I say “one of my favourites” as dogs rate high and also polar bears. 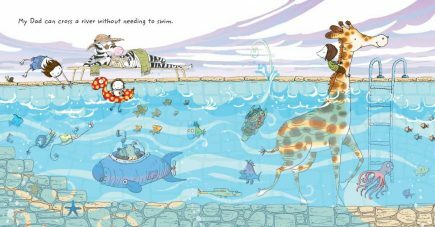 The two books I’m working on at present have polar bears. 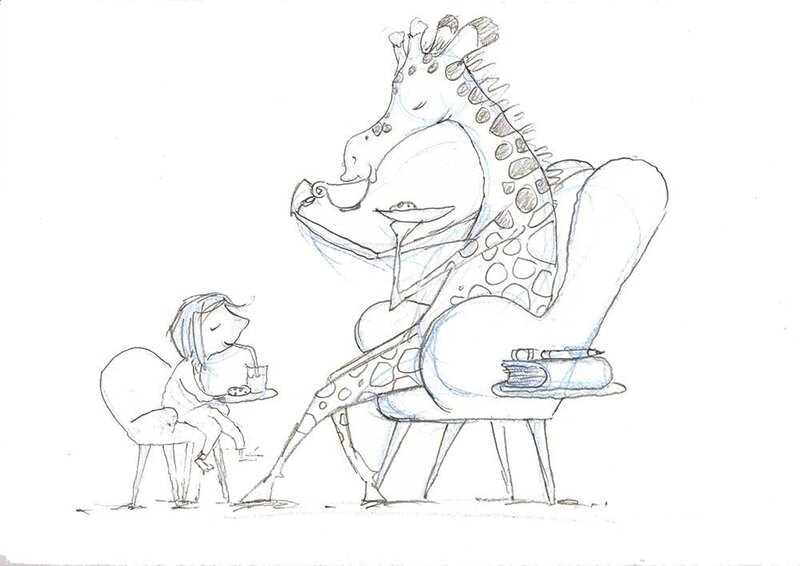 Anyhow, back to giraffes. The giraffe is this crazy animal that potentially could have been a spotted monster. Truly, anything that big should be terrorising and eating the world. Instead they’ve evolved into powerful, gentle, giant vegetarians. 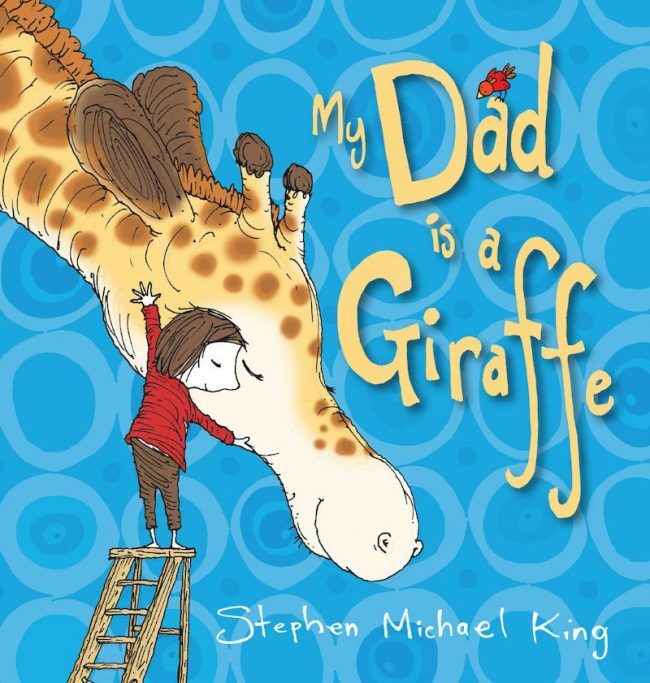 I stumbled upon My Dad is a Giraffe in an old journal. 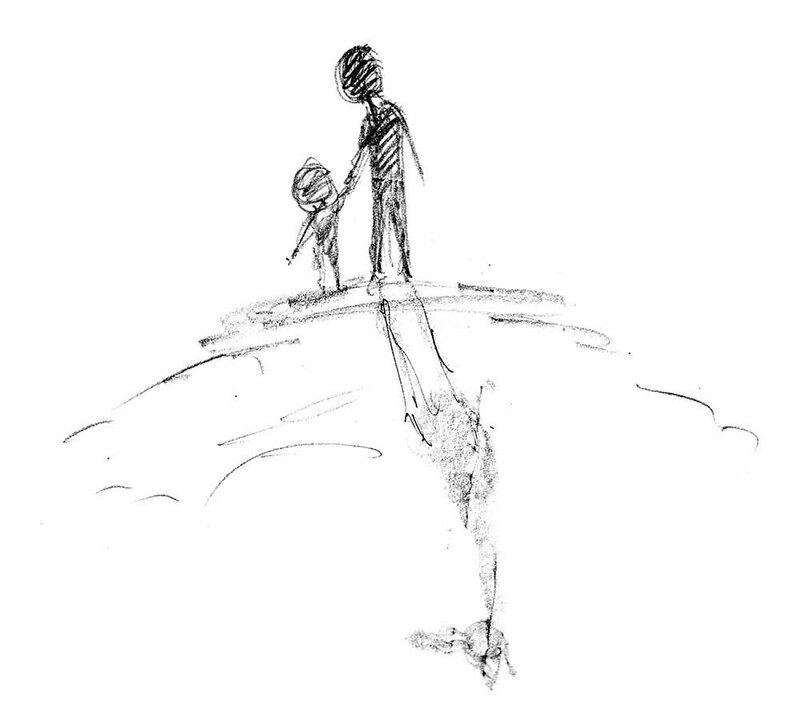 I restructured it a little and it became a perfect metaphor for “dads” the world over. There is an unfinished sequel called “My Mum is a Zebra”. 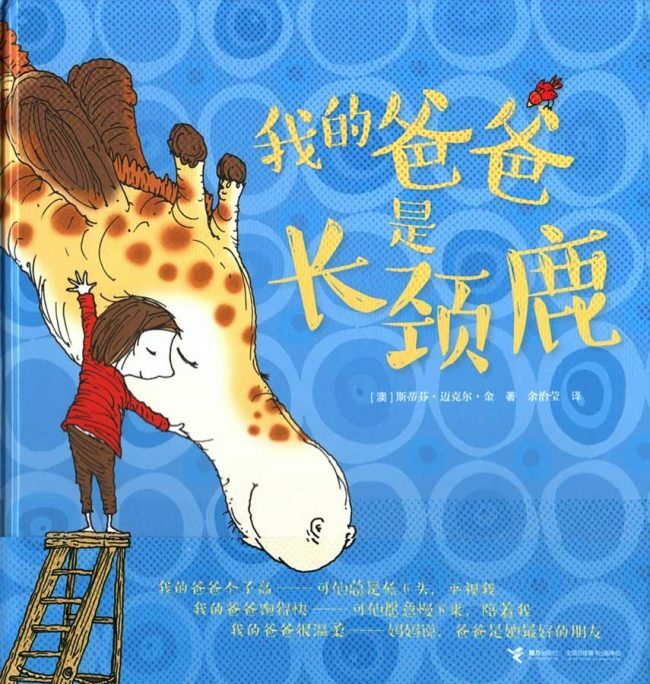 I’ve moved onto other projects, but I might rediscover it one rainy day. 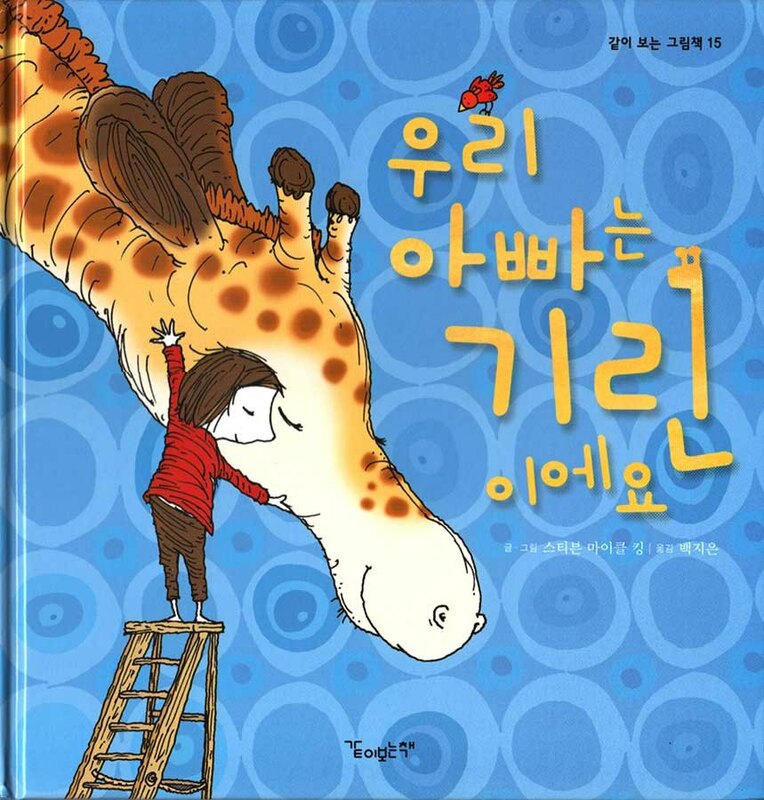 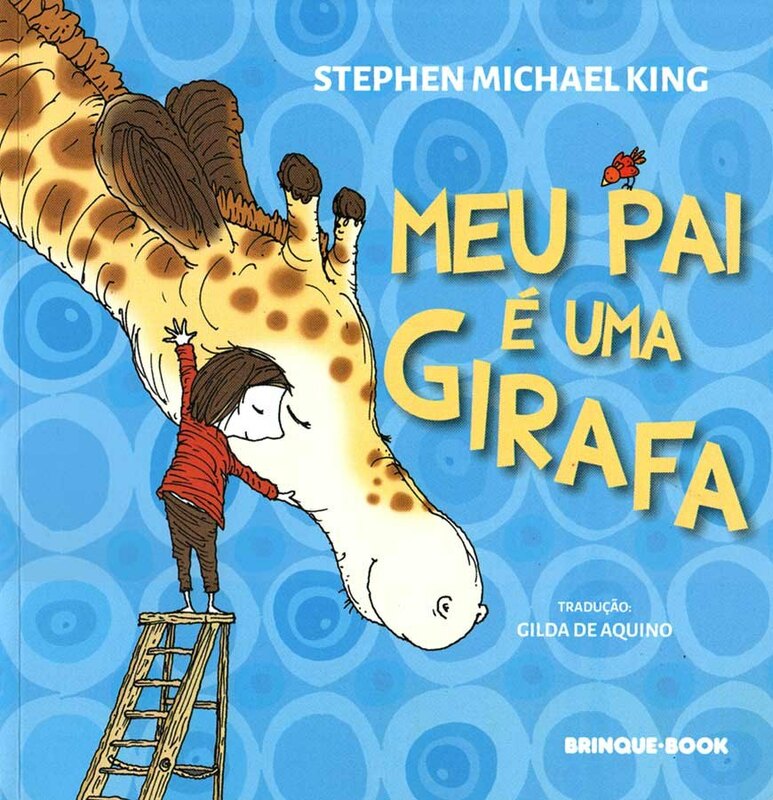 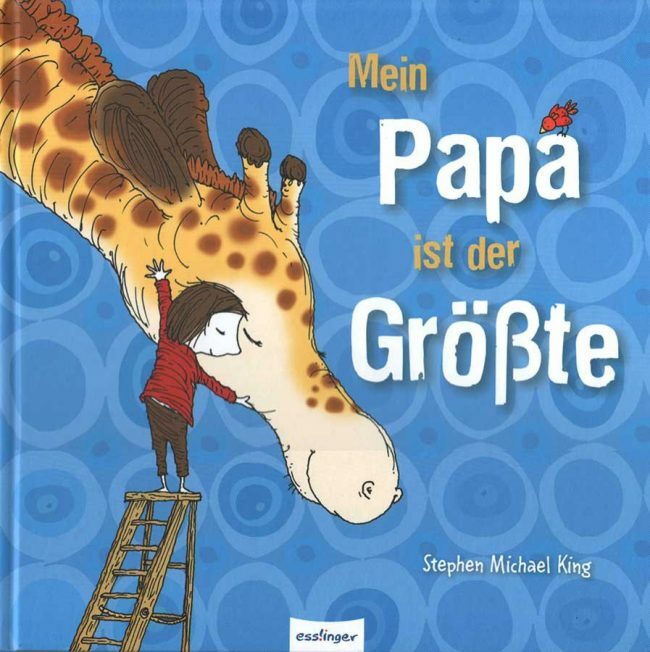 My Dad is a Giraffe has been published in Brazil, Germany, China, Korea and Taiwan.